Rodgers Country Inn is a year-round vacation spot at the end of a quiet country road in Vermont’s “Northeast Kingdom.” The same 350 acres have been in the family since Jim’s Scottish ancestors first settled here in the early 1800’s. Any time of the year, you’ll find plenty of peace and quiet and a friendly atmosphere. Each side of the house provides scenic views of woods and fields with mountains in the background. Large lawn area for sitting, playing games, and children using swing set. Enjoy the views from our enclosed porch which provides a generous selection of magazines, an abundance of toys for the little ones, as well as our game room with table tennis, and board games. 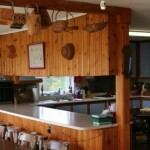 The large farmhouse kitchen and dining area is the setting for Nancy’s bountiful homecooked meals, served family style. Breakfast includes fresh eggs and fruit, French toast, pancakes, or waffles (with, of course, pure Vermont maple syrup). 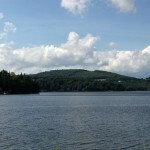 In the summer, Shadow Lake is nearby (3 miles), Crystal Lake (Barton) and Lake Willoughby (Westmore) are 20 and 30 minutes away, for boating, swimming, fishing, and even offer hiking trails. Autumn brings even more spectacular views starting in early September. 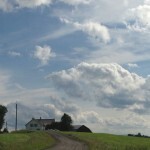 The crisp air, blue skies and vibrant colors make this season a favorite of Vermonter and visitor alike. Winter means cross-country skiing at a nearby ski touring center, as well as snowmobiling on the VAST trail system that runs through our property . 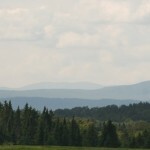 Definitely a taste of rural Vermont with its wonderful landscapes. 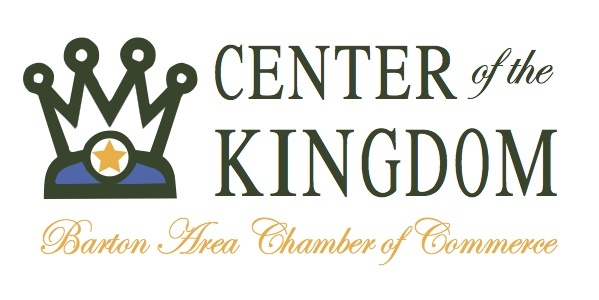 Visit our area small towns, Craftsbury has country stores, Sterling College, Outdoor Center. Greensboro has beautiful Caspian Lake and a must visit to Willy’s Country Store as well as the renown Hill Farmstead Brewery and Jasper Cellars cheese making.